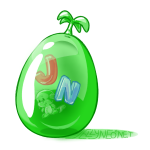 Jellyneo was restarted by Dave, former Admin of the old JN, on August 22, 2004. At first, times were sluggish. Not many people took notice of JN or joined. The staff accepted to work for JN disappeared and sometimes never came back. The layout was rather plain as well, and it loaded at a snail's pace. But then, Dave discovered something... and JN would never be the same. The weekend of the findings, November 13th and 14th, bandwidth usage and visitor count skyrocketed. (Which was good in those days when we didn't use much.) Most of the day, no less than ten people were on, browsing JN. However, the site was quite slow and sluggish. Dave also received a few complaints from new visitors that the layout loaded slowly and was quite plain. The simple solution to this was to create a new layout, and so he did. The new layout created used half as many images and had one hundred less lines of coding, so of course, it was an excellent improvement load wise. With the new layout in place, Dave now had time to use his coding skills around the rest of the site. Several new additions included the Bug Report form, which has helped with thousands of bugs since its release. The jnPortal was also added in mid January (and was retired in March 2015, ten years later). It included numerous helpful things to help Neopians get around. It was also the first major coding project for JN. February and March 2005 also saw some cool new goodies added to JN's arsenal of content. During those months, we added very popular features, including the Random Event and Battledome Challenger generators. The Random Event Generator even had cool styles to choose from based on different Neopian worlds. We also had finished one of many incarnations of the Graphics Department; a fully-realized department for userlookup layouts and other related graphics has never been released. The next few months just skipped right by, and nothing of particular excitement happened, although some site themes were added. However, August 2005 came and then the excitement rose. It was JN's first birthday! Yes- we had survived a whole year (much to Dave's surprise)! To celebrate, in early August we released our first site-wide competition, a scavenger hunt. It was great, and you can read about it (and our other past contests) here. The only bad thing about the competition was that our forums ended up shutting down. The load was so much, that they had to go, or else we'd have been booted off of our server. So, for months, we went forumless. (Well actually, the staff were allowed in the forums. We just couldn't let members in.) 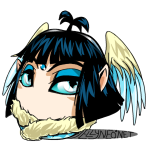 Soon we moved hosts, though, and the forums were again usable in January 2006. The old ones were too massive to fully move, however, so the forums ended up being a complete restart. Around this time, we started our second on-site plot, which has been given the nickname Slimy Slorgs Unite. (It never had a formal name.) This one was a lot more fun, as you had to solve a puzzle in order to get the token. Plus, the puzzles were just plain cool. March brought a lot of cool new features. 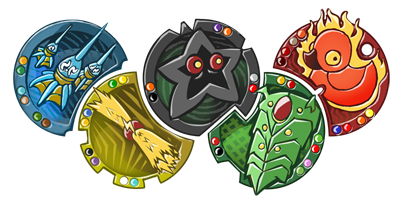 We added a RSS feed for the Neopets news, along with a new Avatar Database, which allows users to view all avatars by type (and is searchable)! The coding genius was done by Stephen, who served as a site administrator for several years. April came along, and we played a fantastic April Fool's Joke. (It actually fooled people, which in our opinion is an accomplished joke.) To see it, just go here! During April, Dave was inspired to change the layout once more. Our second layout had lasted for over a year and a half, but now it was time for change. (Plus, we needed something to celebrate our 10 millionth hit with.) We were quite excited to get it in place, as it was a total update in style, and the coding was much nicer. It also had some improvements in how things were displayed. You could have a calendar, or choose not to see one! A picture of our third official layout is below, in one of its many themes! JN's third layout, with a Mystery Island theme! One event this summer was a huge celebration of JN's second birthday. We'd been in the business for two long years, and knew we were going to last much longer. :D To celebrate such an event, we hosted a little logic puzzle to occupy our visitor's minds for a few days. You can view the results here. We also had plenty of giveaways to help celebrate. The next major event to happen to JN was the opening of our Item Database. On September 30, 2006, we opened the doors to the biggest and most successful project JN had yet undertaken. It'd been in the works since March of 2006, and since then our records have grown to over 35,000 items. We also added in a wishlists feature that allows anyone with a JNAccount to create their own wishlists. Around mid-December, to celebrate the opening of the Item Database, and to get people interested in it, we put together an item scavenger hunt. Participants had to run around the database looking for 25 items, released over the span of 5 days. Unfortunately, the hunt caused much havoc on the server, and at some times rendered the database completely unusable. It really wasn't a smart decision on our part, but it certainly got people looking around! We then did something radical at the end of February... we hired two graphic designers! I know, it came to a shock to all, even though it wasn't for the type of graphics department most users expected. We had a lot of nice applicants; unfortunately, we had to whittle the talented people down to only two at that point. We picked two great people, too! One of them, the (in)famous Rosie, is responsible for the Restock Machine comics. Things were going great. So great that we decided to exploit our user base and totally brainwash them into using that website called Marapets! This was, of course, our 2007 April Fool's joke. If you'd like to see what the joke looked like, take a peek by clicking here. Just a warning - the artwork is bright and may be painful to the eyes. A couple days after April Fool's, we released a fun, little department on JN, the Pet Directory (since closed down). It's our answer to the numerous petpages on Neopets that document a pet for each species and color of Neopet. However, we've easily combined about 4,698 petpages into one, neat package. To celebrate Easter, we also had a fun little Negg hunt. Twelve neggs were stolen by rabid, mutated cybunnies. They were in totally random places around the site. Upon finding each one, a question about one of our staffers had to be answered. It was definitely one of our more challenging competitions! All in all, we had 146 people completely finish and rescue all 12 neggs. :) The neggs were drawn by the infinitely talented Rosie, whom you heard about a couple paragraphs up. All twelve of them were absolutely stunning, and most of them were completely original. 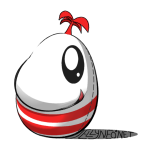 You can read all about that first Negg Hunt here. Mid-April also brought a milestone event to JN, when we obtained our 25 millionth hit on the main site! We of course had to celebrate with great giveaways, and we ended up giving out over 60 cool items. About two months later, we released a new site theme centered around the Altador Cup madness that had enveloped all of Neopia. We also offered a cool feature where you could select a team logo to display on JN to show your support! For our next big project, we released a new feature that helped to organize our content for our visitors. The Guide to Neopia is a mini-Neopia located right on JN. We set it up so that you could visit each map in Neopia, but instead of visiting each place, you could find articles and information on the place you wanted. For example, if you wanted to know about the Island Mystic, simply visit Mystery Island in our Guide and click the Mystic's hut. You'll be transported right to JN's guide containing information on the avatar and the fortunes you can receive. Towards the end of summer 2007, Dave decided to dedicate himself to making the Item Database the best it could be. We rolled out feature after feature. Major enhancements included Neohome Vision, Wearability of clothes, and eventually, a completely new layout. We're constantly working on adding new things to the DB so that when you look up an item, you get to learn as much about it as you are able to. Our forums, one of the oldest things on JN apart from the site itself, also received a much needed upgrade in August. Our upgrade enabled us to have new profiles, more skins, and the addition of a currency system that we released for our birthday. All in all, members were very pleased with the upgrade. That brings us to the next new featured we released to our visitors... the Editorial! Unlike past projects we've taken on, the Editorial came into existence because it was voted on by our forum members. Out of all the options we offered, this one rose to the top. Since then, we've released a new editorial almost every weekend since its first publication date. Each issue is filled with plenty of humor, informational questions, and lots of other cool stuff. We've also had the occasional guest editor answer your questions... or in Dr. Sloth's case, take you out with his ray of death. With the summer over, the pace of new stuff simmered down a bit. We spent that time working on totally revamping and streamlining our jnAccounts system. With the new coding, we're easily able to add new sections that only jnAccount users can access. The new system also allows us to provide a more firm bond with our users, as they can now have the option of "signing up" with JN. As you all know, with customisation making its debut in Neopia, old pet poses died, and new pet poses took their places. Unfortunately, TNT didn't update the Rainbow Pool for a very long time, leaving many Neopians in the dark about what their new pets would look like. After being asked time and time again by our visitors to create an alternate Pool with the new poses, we did so and released it in October. The New Rainbow Pool includes poses of every new pet, just as it would look like when you paint it. It's also capable of showing either one species or one color of pet at a time, unlike other pose databases out there that require you to view too many at once. By mid-October, we had also started our first annual Costume Contest. Out of all the contests we'd held, this one was by far the most interactive. There were some really creative costumes out there, especially considering the lack of clothes for some species at this point. We also learned some very valuable lessons on how best to run a costume contest. For Halloween this year, we also ran our infamous Meepits Attack! plot. Evil ghost meepits had descended upon JN, and it was up to you guys to fight them off by solving puzzles removing the meepits from the site. Luckily, we all escaped and JN returned to a relatively normal state after Halloween... at least for a while! The JN Staff just can't seem to stay out of trouble, and Christmas season saw a huge mix-up occur when some of them went present shopping together! January started the year off with a new News System, and the return of comments - now tied directly into jnAccounts. Everyone likes bragging once in a while - and what better way than showing off exactly how many times you beat AAA in Daily Dare? With our Daily Dare Stat Images, released in March, users were able to update all their scores on JN, and see the image they chose update automatically - no matter where it was! We just can't seem to ignore April Fools - and this year was no different. While our Premium Service did have a disclaimer announcing it was a joke, quite a few people didn't seem to notice - we still got contacted about it over a year later! 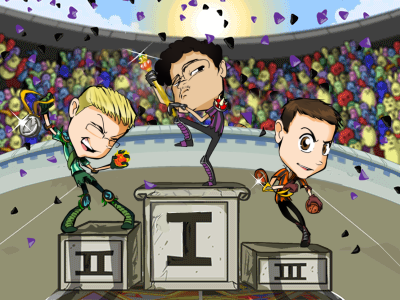 Following on the success of the Daily Dare records, June saw the release of Altador Cup Records, which allowed users to show off just how good at those games they were! July saw us hit a new milestone - 50 MILLION Hits! Way to go, JN! The month also saw our Dailies feature get some special updates, making them even more user friendly. July was a busy time at JN - we released our sister site, Twin Skies Help (closed in November of 2009), which assisted users in the new virtual world of Twin Skies, launched by Neopets Creators Adam and Donna. We were also lucky enough to snag special interviews with both Donna and former Neopets game programmer Ollie (aka The Phantom Orange Shirt Guy), who moved to the new project as well. In the summer of 2008, we held our first Altador Cup Staff Tournament. Each of the 16 teams was represented by a JN staff member, and they duked it out until one was determined champion - Dandy! 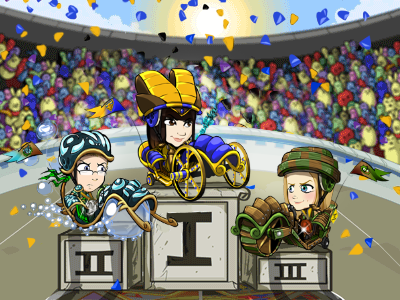 Congratulations go out to 1337 and Rosie for taking second and third respectively. 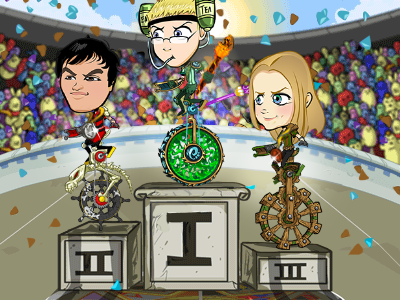 Users were able to predict both the final placement and individual matches, with winning guessers receiving trophies. August not only saw us celebrating our fourth birthday, but also the release of a brand new JN Service - Goal Counters! These personalized counters don't require you to ever edit the image - all users have to do is edit the numbers on JN, and the image will automatically update! On the same day as Goal Counters were released, however, tragedy occured - JN staffers were taken hostage by the Mutant Cybunnies from the first Negg Hunt! Our latest site layout, which had gone into beta-testing in July, officially replaced the old one on October 3rd, with several different Site Themes available from the get-go. The JN Costume Contest made a return in October for its 2nd year, with Acandinhas leaving victorious. The JN Editorial reached the momentous 50th-issue mark near the end of October - and to celebrate, we released a special Podcast Edition! Featuring Nynex, Terry, and Suzuka, it allowed users to hear some of the staff members' voices for the first time! For those who wanted to hear even more, our Happy Holidays animation provided even more opportunities - prerecorded messages from several staffers (as well as a unique song segment provided entertainment both for visitors and the staff themselves. We finished off the year with the release of an entirely new department - our in-depth guide to Key Quest! With prize listings, game (and mini-game) guides, power-up listings, and token images, it is the most comprehensive Key Quest guide on the web! Every year ought to start with a bang - and we aimed to please with the release of our searchable Editorial Database. Every editorial, from issue 1 of the old Neopian Times, all the way through the most current one is featured - as are all the JN Editorials, although they're easily distinguishable. 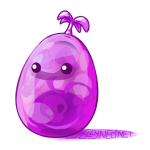 April Fools saw the release of our most elaborate prank yet - JellyPets! While there are no plans to ever make the site real, the questions and interest absolutely poured in (as of 2011, people are still asking for it to be made real)! 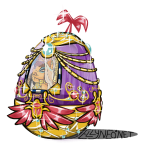 Our second Negg Hunt was held in April, and introduced something completely new - an interactive flash interface, designed by Rosie! May saw JN making the foray into Twitter, allowing our users to get instant updates when news is posted, guides are added, and more! 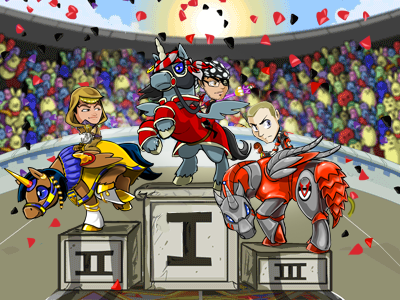 The Altador Cup Staff Tournament was held once again in 2009, with Rylon taking the victory for Maraqua, while newcomers Labhaoise and Sirius took second and third. August was a busy month! - on the month of our fifth birthday, we debuted JN Trophy Cabinets, our guide to Petpet Park, updated the "My Dailies" service, and released our 100th editorial - a special podcast edition! Whew! In October, we held our third annual Costume Contest, with some updates - more NC items were allowed, and instead of just the first 150 getting in, the Admins selected the top 150 submissions sent in during the week. December saw the introduction of Feature Spotlights every other weekend, with alternating ones being filled with editorials. The first one started off with a bang - the features spotlighted were brand new! The Book Checklist and Gourmet Checklist tie directly into the Item Database, and proved very popular! January started the year off well, with the release of the Neopian Tour Guide feature, which added piles of information to our Guide to Neopia, as well as tying it in with the Book of Ages. Speaking of the Book of Ages, January also saw it get a complete makeover! Now much more user-friendly, it includes advanced search options, updated bottom links, and more results per page! No one is perfect - and JN definitely has its share of bugs. Thanks to users like you reporting them, we're able to keep as up-to-date as possible. And, as a thank you, we debuted a new trophy in March! March also saw the return of the jnPortal (which has since retired in March 2015), now directly connected to your jnAccount, and fully customisable! Brand new user modules and themes help make everything perfect for you! We were a little mean in April - we "discovered" a Jelly Chia Key Quest token and pages from a "Jelly World" plot for April Fools. 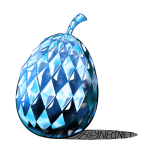 We like to think we made up for it a few days later with the release of the third Negg Hunt, which was fancier than ever! 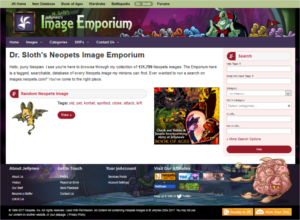 May saw the advent of Dr. Sloth's Image Emporium, a database of over 100,000 official images from around Neopia. The database is searchable, categorized, and tagged, and is constantly being updated by its dedicated staff, known as the Minions. Our Altador Cup Staff Tournament had become somewhat of a tradition by this point, and it didn't fail to entertain. Herdy won the bronze, and Rylon captured the silver, but no one could top newcomer Kataklysmos, who took home the coveted Jelly Sceptre - this time in a rather fetching yellow. When July rolled around (in the midst of our tournament! ), we reached a major milestone - 100,000,000 hits! The JN staff celebrated with plenty of Nexy Cola and Doctor Dave - and went right back to work the next morning. After all, we'd be premiering our new Neoboard Fonts section by the end of July! The next month, our sixth birthday rolled around; two weeks beforehand, we released our most interactive plot to date - Soda Wars! Developed in chief by the stellar team of Rosie and Kataklysmos, Soda Wars told the tale of several companies competing to produce soda for the JN Staff after a rash of abnormal copies appeared on the regular market. Users could join one of the prospective companies, and their participation in several puzzle phases ultimately affected the game - and determined the winner to be Bottle Caps LLC. Smack in the middle of Soda Wars (just a day before the conclusion), JN released our latest sub-department - the Neopian Museum! Containing Timelines, Old Image Galleries, Plot Summaries, Trivia, a Species Encyclopaedia, and more, the Museum is the most comprehensive account of Neopian History on the web. In 2009, Harry Potter had won the costume contest - and his best friend Ron Weasley won in 2010! We had more submissions than ever; you can view all the winners here. JN Staff members weren't about to let the year go out without a special thanks to all the amazing users who make JN possible. In gratitude, we organized a special Holiday Message - bloopers included! While the very early part of 2011 was rather quiet on the surface, the staff were hard at work behind the scenes. In March we unveiled the replacement to our old modeling department, the flash-based Wearable Previews. Now users could see what items actually would look like on their pet before they decided whether to buy them - and get a quick link to the IDB, their Closet, and their SDB, too! April Fool's is always important here at JN - and this year we told everyone we had been purchased by Viacom! In accordance, we released several special site themes related to different Viacom properties (such as Spongebob and Avatar: The Last Airbender). Although the report was false (and the money was too :(), the site themes can still be used - just sneak on over to the bottom of this page! The Negg Hunt has become a much beloved annual tradition here at JN, and this year Rosie and Kataklysmos made it better than ever. The top two finishers completed the hunt within mere seconds of one another! You can still play for fun, too! We'd reached 100 million hits back in July of 2010 - and by April of 2011, we'd hit over 125 million! To celebrate, the JN Staff threw a party with all sorts of delicious food! Check out the amazing photos here! Not long after, on May 14th, we released our third Podcast Editorial, the 150th JN Editorial overall - whew! In early June, several JN staff members made a very special trip - to California, for JNCon 2011! While there, they got to take a very special tour of Neopets HQ, made possible by the amazing Snarkie and her fantastic coworkers. This year's Altador Cup Staff Tournament was a whole new Yooyuball game. Some of the staff had been driven evil by Diet Terry, and others were up to fight them to save all of JN! JN users could choose a side to support, and as they made their guesses, they could unlock parts that would help their team fight and win. In August of 2011, Neopets: Treasure Keepers opened to the public - and so did our guide. Aiming to be the most comprehensive (and useful) Treasure Keepers guide around, it remained continuously updated in tandem with the game itself, right until the game was discontinued. JN's Fifth Annual Costume Contest showed an ever increasing spike in originality - both in costume themes, execution, and captions! If you just needed a little meme in your day, the Socially Awkward Meepit Generator, released in November, allowed you to make and share your own Socially Awkward Meepits easily. As usual, the JN team had a special message for all our visitors during the holidays. As an additional special treat for the holidays, visitors during the last week of 2011 could participate in a daily trivia challenge. If you got answers correct, you'd be granted a special trophy for your cabinet at the end! The Negg Hunt took a rather dark turn this year - the Neggs had all been kidnapped and made into Negs by the Neggative Faerie! Luckily some rather intrepid JN visitors were able to solve puzzles and rescue them all. 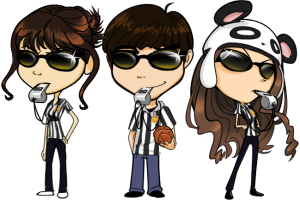 On May 5th, 2012, the long awaited Big Secret Project was finally released - the JN Wardrobe! Now you could not only preview clothes, but you could choose your colour, species, gender, and emotion, try on multiple items at a time, save your outfits for later perusal and sharing, and more! Not long after the release of Wardrobe, another special project was released - the Neopian Dictionary, filled with hundreds of terms and acronyms one might find used around Neopia. Dedicated staffers Dream and Torratz put together the compilation, including pronunciation, categorization, and example usage! The Jellyneo Altador Cup Staff Tournament got a bit of a shake-up this year as well, with staffers separated into factions. Users could join a faction and unlock hints for their correct guesses; if they solved the hints properly, they'd earn points for their faction. The faction with the most points at the end earned themselves a special Trophy Cabinet! We would also want to give a hearty congratulations to our victors who represented their lands with pride! Clouds, taking the victory and the orange sceptre, Link reaching his best with second and silver, and Summra putting up a fight and placing third with the bronze. A round of applause is in order for Team Lightning Scrolls who themselves a special trophy in their cabinet for winning the team scavenger hunt! Our next mini-feature came with the release of the NeoDeck Card Checklist. Much like our previous checklists, it allows users to input a bit of source code and immediately find out which cards their deck is missing, as well as estimated prices and Item Database links. 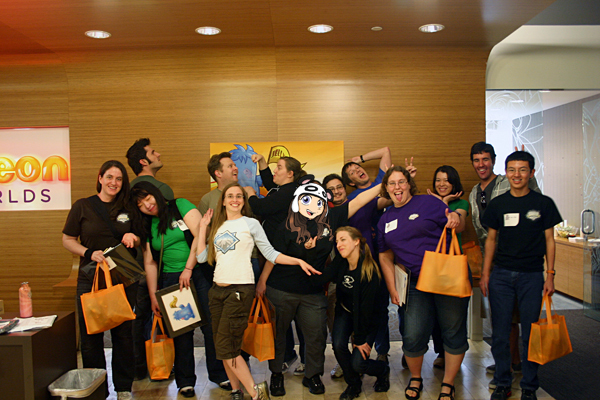 In July, several JN staffers made a special trip out to Neopets HQ for JNCon 2012. Their adventures included autographs, drawings, and Dragona climbing on a horse statue! On August 22, Jellyneo turned 8 years old - and released the revamped In-Depth Battlepedia! Thanks to countless hours of work from both staffers of the original iDB and the behind-the-scenes team at JN, it's bigger and better than ever - and aims to improve even more in the future! Costume Contest entries grow more creative every year, and the top two pets this time both took advantage of their invisibility to don some pretty creative duds. The new year opened with the release of a site feature that had long been in the works - a guide to Neoquest II. With detailed maps, boss guides, skill guides, prize information, and more, it set a new standard for guide detail at JN. Even when it's not Halloween, JN wants to spotlight creative customisation - and thus Wardrobe Wars was born. This friendly competition has a different theme each month, and the best outfits for the theme are featured at the top of the Wardrobe Hub for all visitors to check out. In early April, the In-Depth Battlepedia announced the return of a beloved feature - the Top 250 Pets. Updated weekly, the list provides a look at some of the strongest pets in Neopia, ranked by usable stats (Defence and Strength up to 750, plus unlimited HP). For some battlers, climbing their way up the list quickly became an active goal. 2013's Negg Hunt saw participants joined by a very unwelcome guest... Rosie. After she was beaten at her own game, several JN staff sneaked back off to visit TNT, hoping for a place without invasive Grarrls. In August, Jellyneo celebrated its 9th birthday - the last year of single digits! A week later, a brand new feature was released. The Lab-Ray Logger was presented as a way for users to record their zapping history, either by manually entering their zaps or by installing a nifty little add-on to their browser to have them submitted automatically. The 7th Annual Costume Contest featured a new preliminary voting format, and resulted in a never-before-seen result: a tie! The winning costumes were creative takes on Ursula the Sea Witch, and Miley Cyrus. The April Fools joke this year was extra sneaky - it was dated to March 31st to try to throw some visitors off the scent! 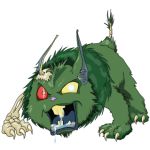 Announced as a competition on behalf of TNT, Build-A-Species had users mixing up pre-existing parts from various Neopets species and colours to make entirely new creations. The Negg Hunt took a break in 2014, but another event reappeared - the JN Altador Cup Staff Tourney! After a fierce Competition, Kumar walked away with the coveted Jelly Sceptre on behalf of Krawk Island. Newcomer Leaf rode his Uni into second place for the silver, and Nick once again claimed his spot on the podium with third! In August of 2014, three significant events occurred. The first was the release of the new layout for the Book of Ages, finally combining the pages for species, characters, and lands into one convenient department. The second was a truly momentous occasion - on August 22nd, Jellyneo turned 10 years old! Shortly afterward, however, was a bit bittersweet - the end of the long-running JN Editorial, with the 218th issue. The 8th Costume Contest took place in October, with a new selection of pets showcasing their finest - and scariest - Halloween costumes. 2015's April Fool's joke was a brand new news service - Jellybuzz! With quizzes and listicles, this joke played on a Neopets equivalent of Buzzfeed. 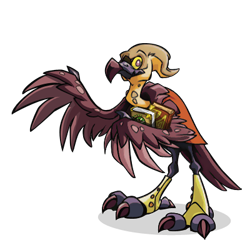 Also in April, following the success of the 2014 April Fools, Build-A-Species returned for a second round! The JN Altador Cup Staff Tourney came back for another year in June. This year, it was Herdy who took the Jelly Sceptre on behalf of the Haunted Woods, while Rylon took silver for Maraqua, and Nick took bronze for the Virtupets Space Station. 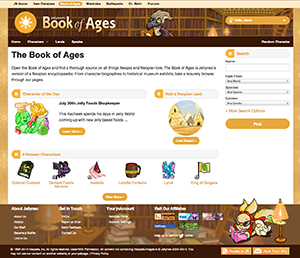 July saw the introduction of another site makeover to match the Book of Ages. This time, it was Dr. Sloth's Image Emporium that got the treatment -- along with lots of improvements beyond the facelift. A series of Throwback Thursdays began in August, adding archived content to the Book of Ages like Poogle Solitaire, Tower of Turnips, and scans of the Official Neopets Magazine. Once again, October saw the Halloween Costume Contest, with a rather pointed winner. After this, the year was rounded off in December with a limited beta of a long awaited feature - an overhaul of the Item Database. In March, changes to the Neopets site forced the early removal of three automated features on the site. The Battlepedia top 250 list, Neopets birthday calculator, and one of the Battlepedia's League Calculators were officially retired. This year's April Fool's joke saw the return of Rosie -- fronting the Tip-Tastic Rosie feature, a (sometimes) helpful personal assistant rolled out across the site. In June, the JN Altador Cup Staff Tourney returned. This year, it was Rylon on behalf of Maraqua who took the much coveted Jelly Sceptre. Leaf took silver for Krawk Island, while Sweep managed bronze for Kiko Lake. In July, with the beta finally coming to a close, the Item Database revealed a new look to match the Book of Ages and Dr. Sloth's Image Emporium. As with the other two departments, this change of appearance came with an array of new features and improvements to the wishlists service among others. The Halloween Costume Contest became a decade old! The 10th year of the event saw winners from video games, films, and even the President of the United States! January saw more updates to the Item Database, with improvements to wishlists, Neodeck card listings, NC Wishlists, and the ability to print search results. 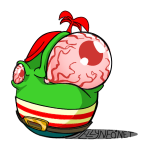 April saw another April Fools joke -- this year focusing on a new mobile game for Neopets, called Balthazar's Revenge. 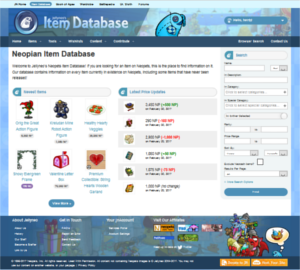 In May, work on the new Item Database continued with an array of further updates to Neggs, Petpets, and the ability to generate Petpage coding for wishlists. 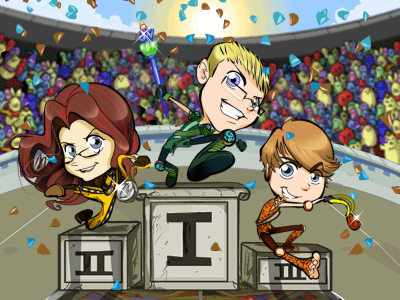 In June, the Altador Cup returned and with it, the JN Altdor Cup Staff Tourney! This time, Ummy took the Jelly Sceptre for the Lost Desert. Rylon fell to silver for Maraqua, and Sweep took third for Kiko Lake. In July, Throwback Thursday returned for an article about Lenny Trivia, an old Neopets game. Tagging of Trading Post history was also added back to the Item Database. August and September saw yet more updates to this feature. In October, the Costume Contest returned for the eleventh year of Halloween costumes! Winners this year included stars in the sky, stars on the stage, and hot drinks! Hopefully the future will bring great prosperity to JN. :) You can look forward to full coverage of upcoming plots, along with the inception of our next big projects... Whatever the future brings, you can bet your Blobikins that we'll be there!